How do I balance saving for the children’s educations with retirement planning? Can we afford private schools or study abroad for our children or grandchildren? Will my kids need financial aid – and are we eligible? What about scholarships? When is the right time to start education savings plans? Do I need a different 529 account for each child? What are the tax benefits of education saving plans? You have big dreams for your kids – and their education is a big part of those dreams. Effective planning helps determine the best way to save for and pay for their schooling. Plus, it ensures education savings plans and college funds are balanced with other important financial goals (like retirement planning). For younger children, you have the benefit of time for your college fund investments. If you start saving early, your investments can grow over a longer period of time. That’s good news. Saving for kids’ educations is also a great opportunity to educate them about financial matters. As your children get older, don’t miss the chance to talk to them about what they want to do in life and the financial implications of their decisions. They may be interested in a specific career or field or have their sights set on a certain type of school. Ultimately, their goals may shape your savings choices and how much you contribute each month. Education savings plans can also be useful in demonstrating the value of saving and investing to teenagers. As college gets closer, you should find time to share the options and plans to pay for college expenses, including tuition, books, living costs, transportation and “fun” money. There is no one right answer; having children pay for some or all of their expenses through part-time work can be a great idea for some students, but focusing on schoolwork may be best for others. It’s also important to remember that retirement planning should be the top priority. Balancing college fund investments with retirement savings may take some creativity, but with the right plan, you can do both. Automated investing solutions that are assigned to specific goals may also be part of your education savings solution. As fiduciaries, we are 100% committed to your goals. And we often do our best work when there are competing priorities – such as education planning for children and retirement planning for parents. Our integrated, team-based approach brings together specialists in financial planning, tax planning and preparation, investment management and estate planning – so college fund and education savings plans fit within broad and holistic financial plans tailored to your unique goals and objectives. Ultimately, that means more confidence that your kids can have the education experience that’s best for them, even as you keep on track with other long-term financial goals. Contact a Truepoint Wealth advisor today to start or optimize your education savings plan. 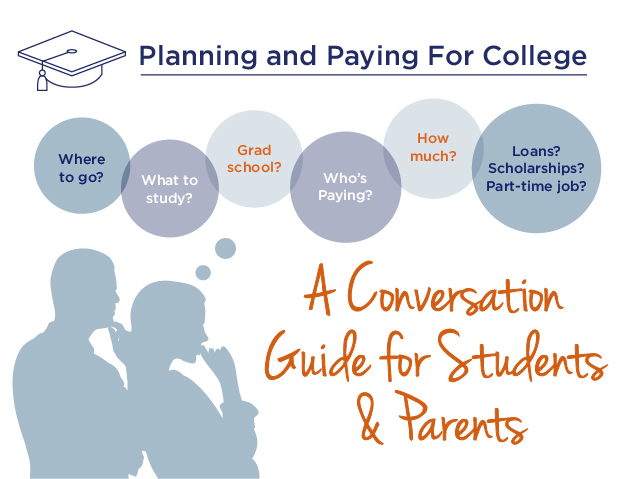 A conversation guide for students and parents.